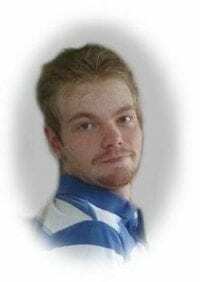 Mr. John Brandon Eller obituary | Cherokee Co N.C.
Mr. John Brandon Eller age 22 of Hayesville passed away suddenly on Wednesday August 16, 2017 in Towns County. John was born on Sept. 16, 1994 in Murphy, NC., the son on Johnny Kevin Eller and Judy Ann Ledford. He was a lifelong resident of Clay County, NC. At the time of his death he was employed with Hog Wild Barbecue. John loved spreading God’s word, read and studied his Bible daily. He was a devout Christian who loved his Lord and Savior. He enjoyed playing the guitar, hiking and being outdoors. He was a loving and caring son, brother and grandson. John was of the Seventh Day Adventist faith. Surviving John are his mother and step father, Judy and Ron Ledford of Hayesville, his father, Johnny Eller of Murphy, brothers and sisters, Jessica Dills of Hiawassee, Elizabeth Dills of Hayesville, Michael and Casey Dills of Hayesville, Daniel (Tiffany) Eller and Christina Ledford all of Hayesville, step brothers, Ronald Ledford of Blue Ridge, Cody Abercrombie of Blairsville, step sister, Alexis Thornley of NY., grandparents, Pansy Ledford and Becky Lockaby both of Hayesville, many aunts, uncles, cousins, nieces, nephews, many other relatives and friends also survive.